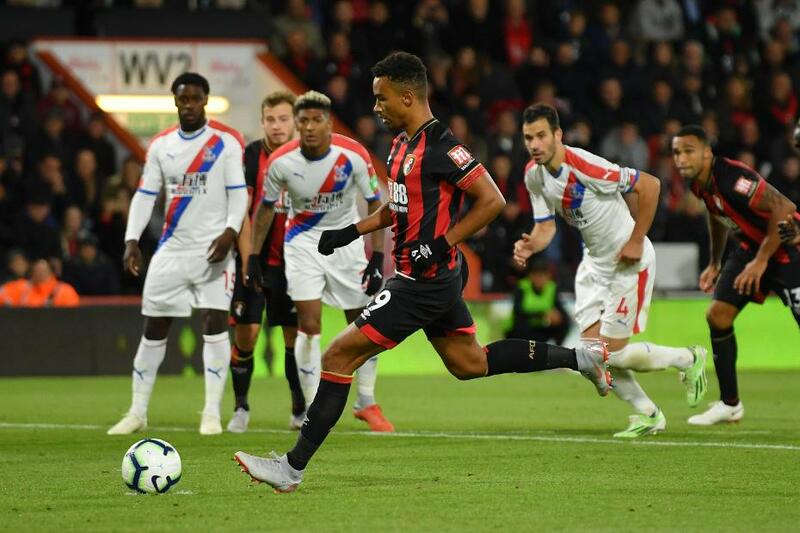 Substitute Junior Stanislas scored with three minutes remaining to earn AFC Bournemouth a 2-1 victory over Crystal Palace. David Brooks had given the hosts an early lead with a first Premier League goal to remember. Only five minutes had been played when the 21-year-old received a smart lay-off from Callum Wilson and curled a rising left-footed shot in off the underside of the bar from 16 yards out. Palace improved after the break and restored parity 10 minutes after the interval. Wilfried Zaha picked out Patrick van Aanholt, who checked inside from the left before beating Asmir Begovic at his near post with a fierce drive. Wayne Hennessey twice denied the Cherries in the last six minutes, saving superbly from Wilson and Dan Gosling. But he had no answer to Stanislas’s penalty, awarded for a foul by Mamadou Sakho on Jefferson Lerma. Their third home win lifts AFC Bournemouth to seventh place, on 10 points, while Palace lie 13th on seven.